After years of just hearing stories about Danasan Eco Adventure Park in Danao City, I finally had the chance to experience Danasan first-hand. 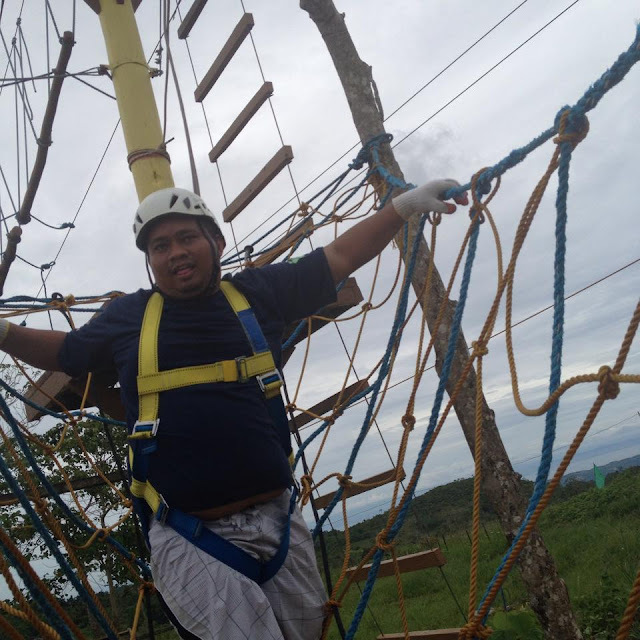 A training client decided to hold their team building event there last 20 June 2015. Since I was coming straight from facilitating another team building program in Bantayan Island the day before, I could not join the group in the service van as they travel edfrom Mandaue City to Danasan. 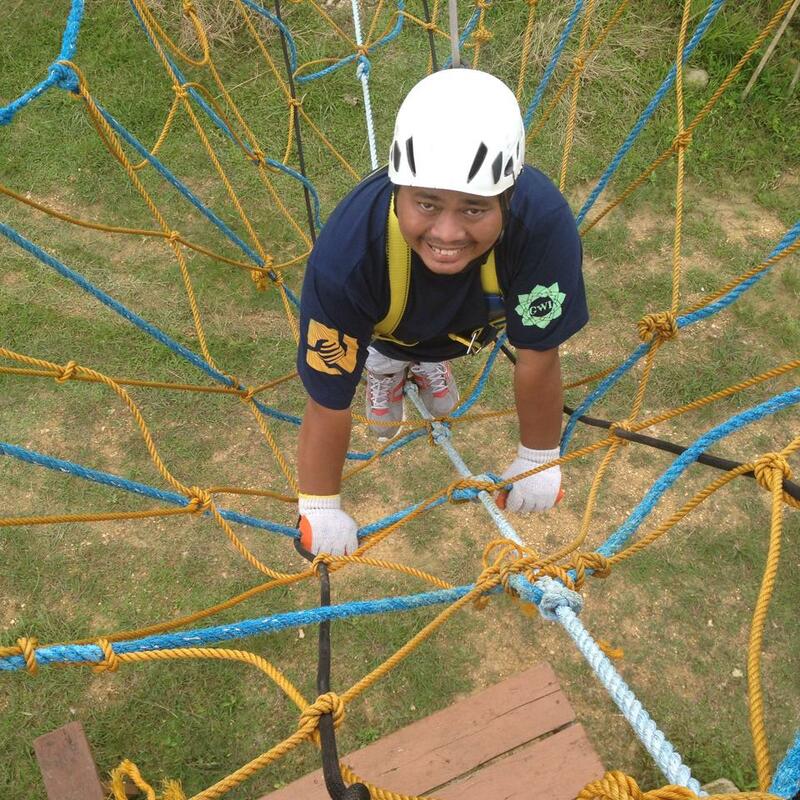 I didn't know what I was thinking but I first decided to go through the ropes course. It was too late to back out when I realized I had fear of heights. I was already on the second part of the course when the idea sunk in. I have always had that fear of uncertainty when not one of my feet is firmly planted on something solid. That is why, for a time, I always feared swimming. Upon the prodding of my good friend and the marshals, I pushed through. Yet, I was 2 obstacles away from completing the course. The non-completion wasn't because I still had fears. It was more so because my arm were just so sore to continue. It was a good workout. Well, nothing unique really since we have this in a lot of other places. 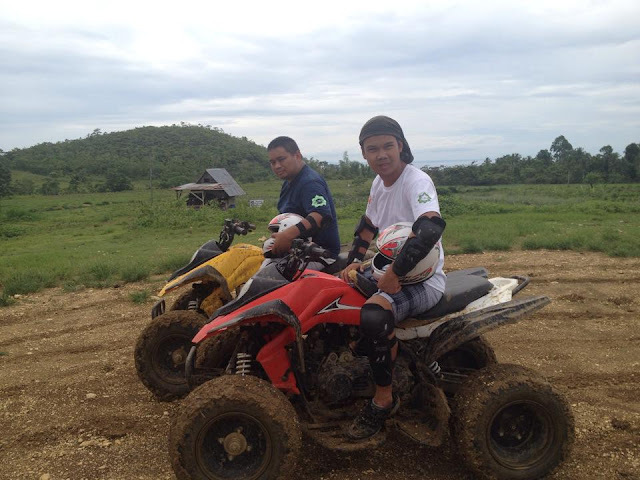 But Danasan's ATV trail is cool, a truly off-road experience. It had mud pools, humps, rocky terrain, uphill climbs, and downhill slopes. It can get one really dirty after the experience. Our footwear got caked but mud but we had tons of fun. 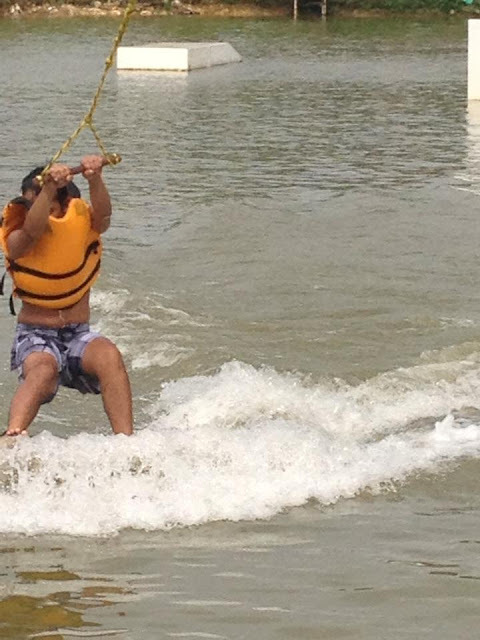 Honfred did some wakeboarding at the beginner lake. He had a lot of fun doing it. Resort staff were in hand to give him basic lessons. It didn't take long before he learned how to do the basics. Before the day ended, we took a dip at their little swimming pool. It was less than 5 feet at it's deepest. It's not the best swimming pool I've been to, but it was a good way to cool down. There's still much to explore in Danasan Eco Adventure Park. There are more activities I hope to try on the next opportunity I can visit. 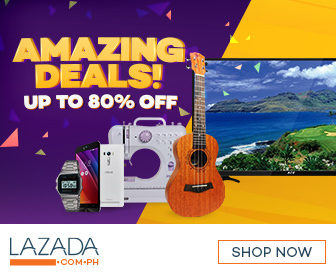 Some of these are: caving, waterfall trek, sky drop, drift kart, zipline. Danasan is so far the only the second place in Cebu that I know offers an outdoor go karting experience. 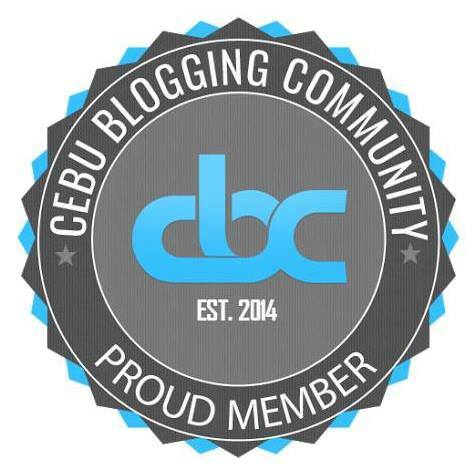 The other place is Kartzone in Cebu City. 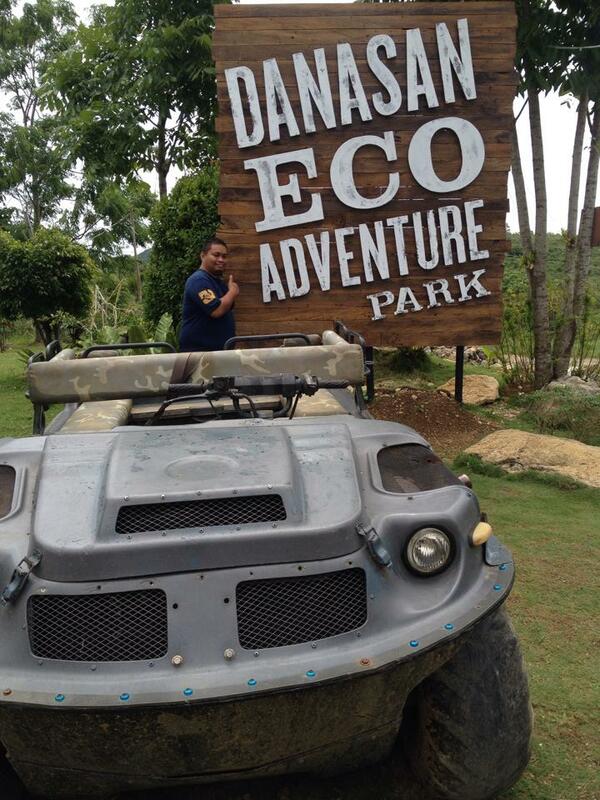 The easiest way to get to Danasan Eco Adventure Park is to ride their service shuttle at the Parkmall in Mandaue City. Danasan Eco Adventure Park's marketing office is in Parkmall. The shuttle leaves Parkmall for Danasan as early as 7:00 in the morning. One can also catch it at Danao at around 9:30 in the morning. Round trip shuttle fare is at PHP 400 per person. An alternative is to hire a habal-habal motorcycle where you see the Danasan sign board from the highway. Normally, drivers charge between PHP 150 to PHP 200 per person. That can be less when you have good haggling skills. For those driving, here is the exact location of Danasan Eco Adventure Park can be found here. Danasan Eco Adventure Park's marketing office is at Parkmall in Mandaue City. They may be reached through phone numbers +63 32 239 5653 and +63 32 239 5654 and mobile numbers +63 917 301 3171 (Globe) or +63 922 865 5779 (Sun Cellular). Have you been to Danasan Eco Adventure Park in Danao City, Cebu? What is your favorite adventure in the park? Will you come back for more? Let us know in the comments below.